Our router screenshot grabber makes it easy for you to take screenshots of your router and upload them to us so that we can add them to our website. 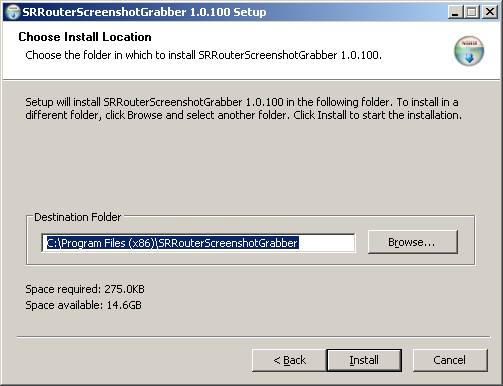 The router screenshot grabber is part of a large Network Utilities bundle that includes many great router utilities. After using the screenshot grabber your router images are uploaded to our server, and then Allen goes through them and erases any personal info like IP addresses and passwords, then we put them up on the site to help others. This entire site was created with screenshots that have been uploaded by helpful end users like you. Download our Router Screenshot Grabber . Run the file that you downloaded. After you've downloaded the Router Screenshot Grabber you need to install it. The install screens look like this. The Router Screenshot Grabber is a pretty straightforward tool to use. After you install it you can launch the Network Utilities program in the start menu under Portforward.com. It will ask some basic questions then it will attempt to login to your router. You'll need to enter your router's username and password to login. 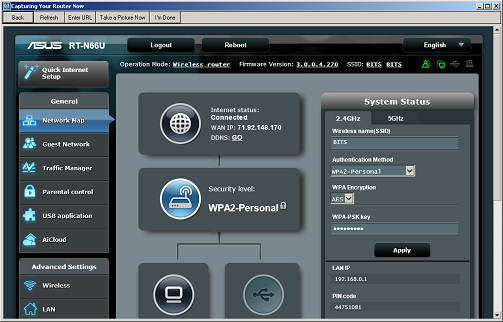 The Router Screenshot Grabber can not login to your router without your username and password. Once you're logged in to your router it will take a screenshot of every page that you visit and send it to us. Your router will, of course, look different than the one pictured below. Please note: we make every effort to protect your privacy and we are not interested in collecting personal information. We just want router screenshots. We receive a lot of screenshot submissions and we usually get them published in about 48 hours, but sometimes we fall behind. If you put a valid email address in we'll send you an email when your screenshots go live. Thanks for helping make our website the best place on the Internet for router information.